 Fundraiser for the Crab Street Journal magazine and other publications of the Land Hermit Crab Owners Society. Hermit crab lovers shop here! 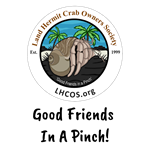 The Crab Street Journal and Land Hermit Crab Owners Society thanks you for your support by shopping in our store. We have all sorts of hermit crab themed items. 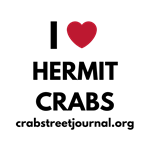 we hope you find something you love! Hermit crab pride for your ride! Apparel featuring hermit crab mascot Milo on The Crab Street Journal logo. Apparel featuring hermit crabs taking a selfie. Non apparel items featuring Milo the hermit crab as The Crab Street Journal's mascot. Christmas related products with photos of hermit crabs. Just some fun sea shell imagery I have been playing with. Original hermit crab artwork drawn by Savannah Milhorn. Say NO to Painted Shells! Painted shells are harmful to hermit crabs, help spread the word. Show off your hermit crab pride with a variety of designs. Click to see all the designs in this category. Get your hermit crab image on a product! Fun hermit crab themed stickers for hermit crabifying your life!